More and more people from the US and Canada are addressing the problem of obesity by going on medical trips to Latin American countries like Costa Rica and Mexico for lap band surgery, gastric bypass, gastric sleeve and other weight loss procedures. Some medical tourists also go for lap band in Jordan, Turkey, India, and Thailand to get the treatments at discounted prices. According to the World Health Organization (WHO) in 2011, worldwide obesity has more than doubled since 1980. Unfortunately, some people cannot afford to get weight loss surgery in their home country because of the high prices. It is no wonder why people travel to other countries in order to get the same quality of procedures for much less. The cost of lap band surgery in Jordan is low and the country gets patients not only from the Middle East but from all around the globe. Many foreigners may find that they only need to pay a fraction of what the same procedure would cost in their country. Tourists from the US, Canada, and the UK go all the way to the Middle East because of the huge difference in the price of medical procedures compared to that in their home countries. 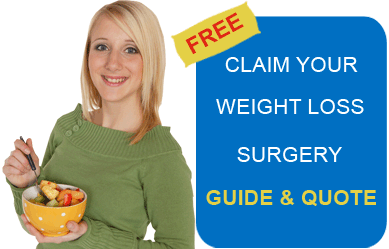 Weight loss surgery in Jordan is performed by highly-qualified surgeons in our network. The hospitals have advanced facilities that cater to medical tourists from neighboring countries like Israel, Syria, Egypt, and Saudi Arabia. Jordan hospitals have dedicated staff for serving medical tourists – staff members who speak other languages ensure that communication is not a problem. Other perks that health tourists experience while in Jordan are the option for a personal chef in certain hospitals, help with accommodation and transportation services, and assistance with tourist activities. Jordan, along with Turkey, is one of the leading destinations for medical tourism in the Middle East. Jordan has many exotic travel locations that are perfect for those who want to explore other cultures. For instance, the world-famous Dead Sea is located around an hour away from the city. If you have decided on traveling to Amman, Jordan for gastric band, make sure you enquire about the climate around your travel time. If arriving there during the summer, pack light and airy clothing for comfort as it can get hot and humid. In the winters, the average temperature is around 13 degrees Celsius, so bring coats and sweaters especially for night time. It is understandable for Americans and Canadians to choose adjustable gastric banding surgery in Mexico or Costa Rica because of the geographical proximity, but traveling to the Middle East may provide a unique experience and a chance to explore an entirely different culture. Review the qualifications and number of lap band procedures performed by the doctor. See what hospitals he performs surgery in, and the types of facilities that they have. Ask for testimonials from the international patients he has treated and their photos before and after gastric banding in Jordan. Find out what organizations he is affiliated with, since the best bariatric surgeons are usually members of international bariatric organizations. If you are frustrated with finding weight loss surgery at affordable prices in your country, lap band in Jordan may be an option you want to consider. Bariatric Surgery World facilitates low-cost Lap Band Surgery in Amman, Jordan. For more information, submit the estimate-request form on the right.